Applying the same dedication and skill we use on the interior of your home or business, our cleaning team offers superior exterior care services, including pressure washing and lawn maintenance services in Macon. The exterior of your home or business is where you have the opportunity to make a great first impression and first-rate exterior maintenance services by the professional team at Wifesavers ensures just that. If you are interested in learning more about how we can assist you with power washing, lawn maintenance, and other exterior cleaning services, we invite you to reach out to our team today. Removing years of grime, dirt, and graffiti, our team of power washing experts ensures high-quality service that surpasses any of our competitors. Backed by decades of experience, our crews use state-of-the-art equipment and proven techniques to deliver results that are guaranteed to please even the most discerning building manager or homeowner. Comprehensive lawn care can ensure a long-lasting, beautiful yard, increasing your home’s value and adding hours of enjoyment for both you and your family. Saving you time and effort, a lawn maintenance company that understands lawn and grass needs can help beautifully maintain your yard for years. From seeding and fertilizing to mowing and edging, Wifesavers provides comprehensive care for your yard. Your friends, neighbors and family members rely on Wifesavers for both interior and exterior cleaning and maintenance. Find out why by scheduling your own personal consultation now. 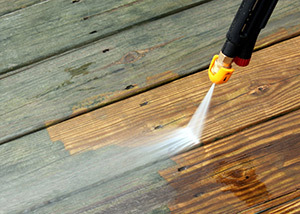 We look forward to providing you with the exterior cleaning services in Macon you need.